Croatian National Tourist Board has opened a Representative Office in Shanghai, which will cover the big and strategically important Chinese market for Croatian tourism. The event saw the participation of many invitees, and the office was officially opened by the Croatian Prime Minister, Mr. Andrej Plenković, in the presence of the Director of the Croatian National Tourist Board, Mr. Kristjan Staničić, the president of the Croatian Chamber of Economy, Mr. Luka Burilović, and the Ambassador of the Republic of Croatia to the People’s Republic of China, Mr. Nebojša Koharović. “This will be best tourist year ever for Croatia, with 20 million arrivals and more than 106 million overnight stays, and an investment of one billion euro in tourism. 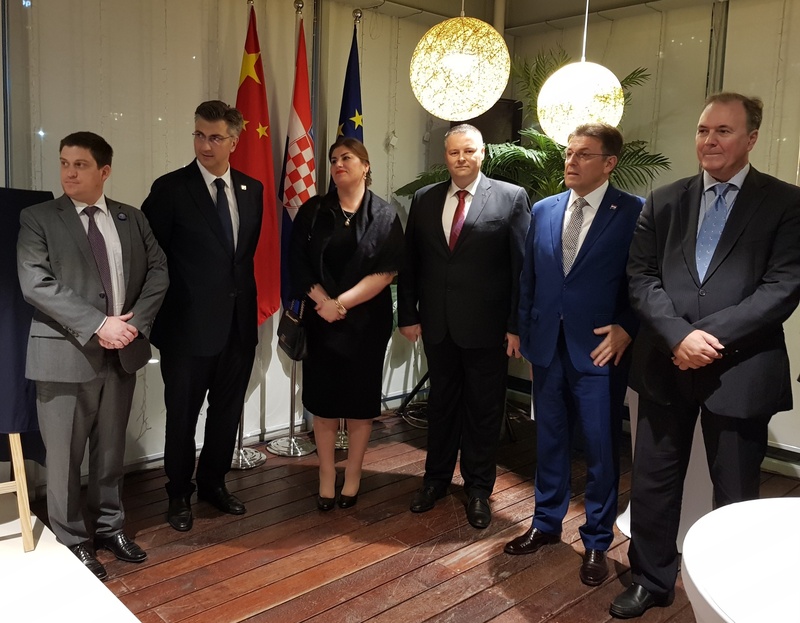 The year 2019 will be the year of culture and tourism between Croatia and China, and this is for us an exceptional opportunity for additional positioning of our country on the Chinese market”, said the Croatian Prime Minister, Mr. Andrej Plenković, on the occasion of the opening of the CNTB Representative Office in Shanghai. In his opening speech the Director Staničić emphasised that due to both cost savings and future institutional cooperation, the CNTB Representative Office is being opened in the premises of the Representative Office of the Croatian Chamber of Economy in Shanghai. "We are extremely proud that we are opening the Office in Shanghai in the year which will be the EU-China Tourism Year” It is the right time to start with stronger positioning of our country as an attractive all year round tourist destination on this big and important market. Namely, only in this year we have seen a growth of 40 percent in Chinese visitors, and there is more room for even better results. 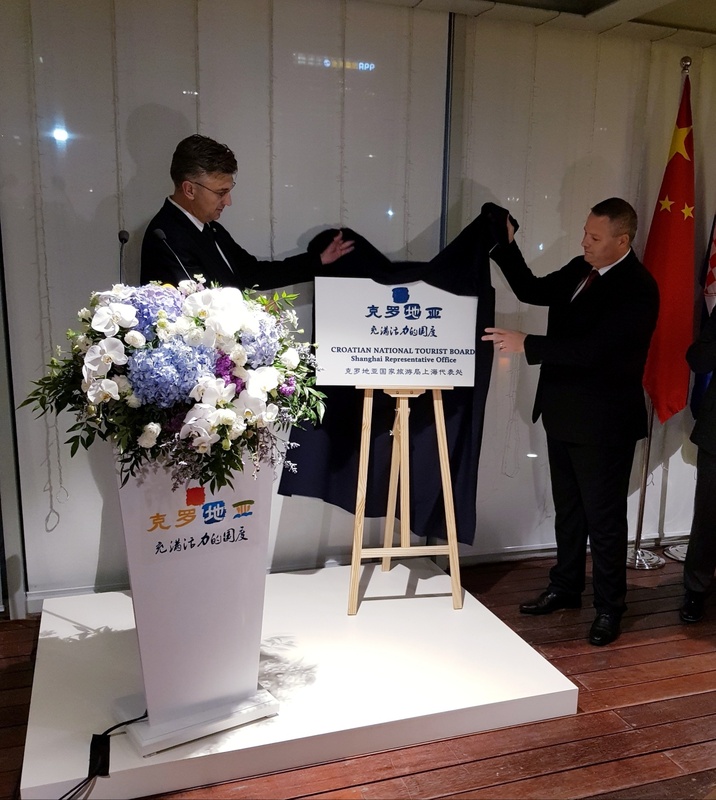 Croatia has yet to establish a solid market position in China, the potentials exists, and this is confirmed by the award given by the renowned magazine Travel+Leisure, which named Croatia the most sought-after new European destination for Chinese tourists in this year”, said Mr. Staničić, and added that the new office will implement all key activities that will aim to attract a larger number of Chinese guests, introduce non-stop flights between China and Croatia, and develop the offer adapted to Chinese tourists. “I am very happy that besides tourists, a great interest in Croatia is shown also by the investors who already started developing large investments in the tourist sector. This positive trend should be encouraged and capitalized on, and I have no doubt that we will succeed in it all together”, stressed Mr. Burilović. Franka Gulin, the Director of the newly established office in Shanghai attended also the opening of the Representative Office. “China is the biggest world market in every respect, and this fact for us being a relatively small European country represents the biggest challenge. However, I am sure that we will achieve excellent results in the future because the Croatian tourist offer has all what Chinese tourists prefer to consume, and this includes the rich cultural and historical heritage, preserved nature and high-quality wine and culinary offer”, said Gulin. In addition, during the first ten months of this year we had 216.000 arrivals from the Chinese market, and 315.000 overnight stays, which compared to the same period last year represents a growth of 43% in arrivals and 42% in overnight stays. Chinese tourists had the most overnight stays in Zagreb, Dubrovnik, Split, and Zadar. Chinese tourists are interesting from a position of affirmation of the period of pre and post season because most of the arrivals are in October (18%) and June (16%), followed by May (14%) and September (14%). The largest number of Chinese tourists come to Croatia in organised groups, usually as part of a regional tour, and more than 66% of overnight stays by Chinese tourists was in hotels, while in household accommodation approximately 24% of guests stay. They usually stay for a very short period of time in a destination and change them many times. When we talk about the motives of visit, sightseeing is their main travel motive (73%), followed by gastronomy (64%). 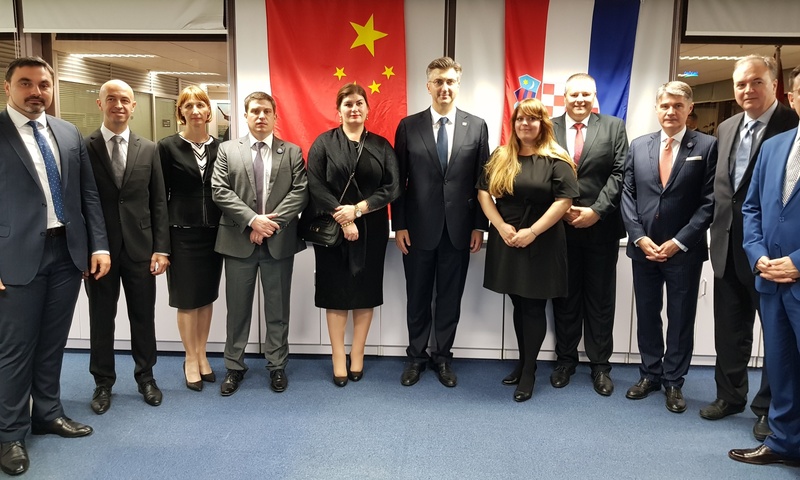 Moreover, when they travel to Europe they tend to visit more destinations, and precisely for that reason the Croatian National Tourist Board and the Slovenian Tourist Board conduct joint promotional activities on the Chinese market within the project “Experience Croatia, Feel Slovenia”. We would like to remind that this specific project assured for the following year a grant by the European Tourist Commission based on the call to the national tourist organizations to sign up thematic transnational campaigns for the promotion of Europe in China.